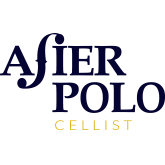 I have always had a great interest in education, and I therefore try to set aside time each year for giving cello lessons and masterclasses throughout the world. I teach advanced level cello lessons in the Musikene, Centro Superior de Música del País Vasco in San Sebastián (Spain). I’m also Artistic Director and cello teacher in the Music Faculty of the Universidad Alfonso X el Sabio in Madrid, and the Summer Acadamy and Music Festival at the Forum Musikae. If you’re a professional musician or a student, and you are interested in attending any of my classes or would like to ask me anything regarding my teaching, don’t hesitate to contact me. I set aside time for “open classes” where everyone is welcome to attend and listen to my classes. I regularly take part in various activities, talks and educational concerts together with my students, so that the general public can get to know the cello, and because I think it’s an incredibly important experience for young people’s creative development, as part of their musical training. In my photo gallery you can see some photos that were taken at masterclasses and education activities.